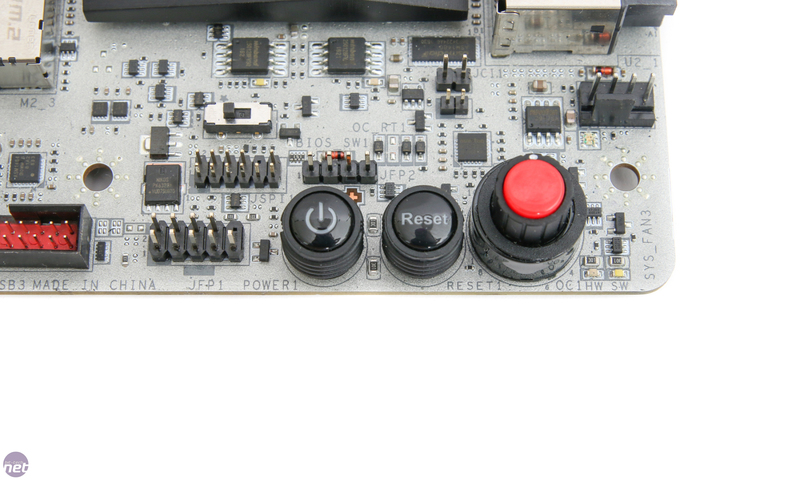 RGB this, RGB that, RGB bla bla bla. 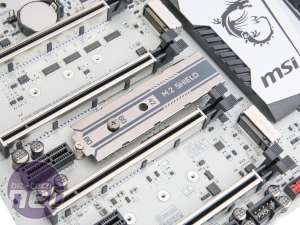 We know what you're thinking - it's another expensive Z270 motherboard that's going to light up like a Christmas tree in vibrant colours, and you'll be paying for it when you might not necessarily want to. 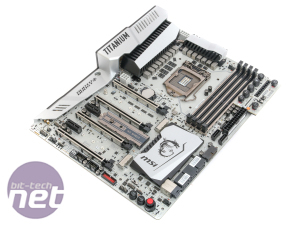 However, while some of us do actually like a bit of RGB pizazz on our motherboard, sometimes you just want something that looks great thanks to a design that doesn't have to rely on RGB LEDs. 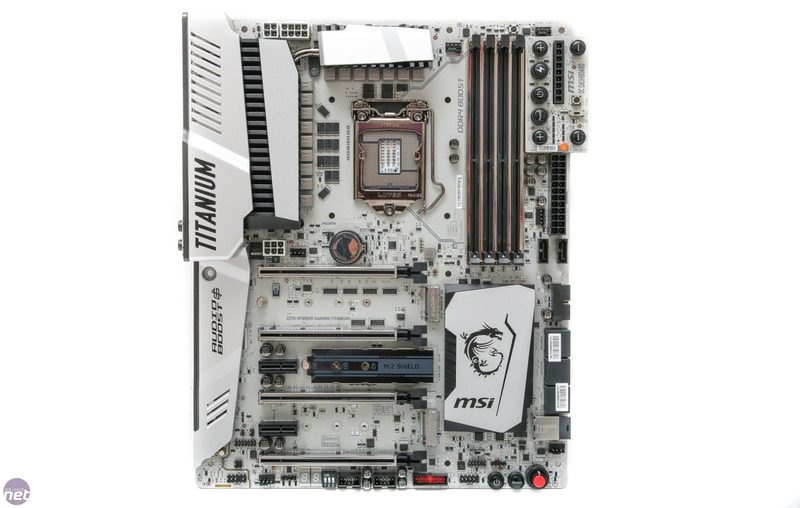 We've looked at several MSI XPower Gaming Titanium boards, and all have looked stupendous - the Z270 version is no exception. 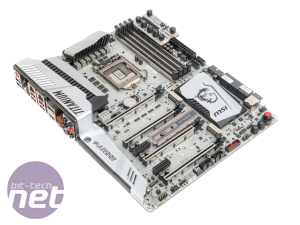 It's a stunning board, and MSI has added several tweaks and aesthetic improvements compared to the Z170 version too, which is just as well, seeing the latter costs just £260. 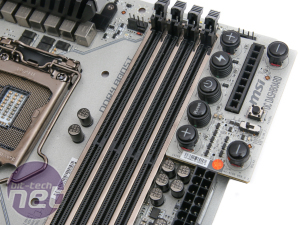 The CPU power circuitry heatsinks are linked by a large heat pipe, the steel-plated DIMM slots are now completely covered in the stuff, plus there's additional power phases. 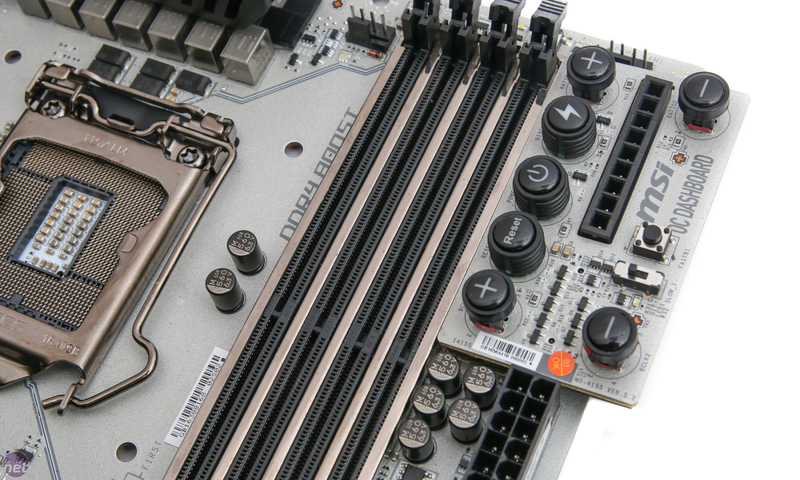 Like the Z170 model, there's extra juice for both the CPU and PCI-E slots for extreme overclocking and multi-GPU setups. 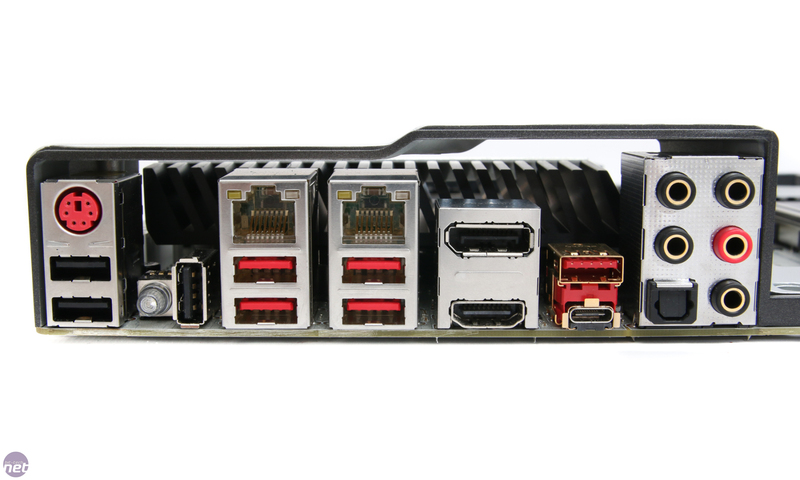 You get plenty of fan headers, eight SATA 6Gbps ports courtesy of an ASMedia controller, plus an additional M.2 port compared to its predecessor too - there's now three on the PCB, with MSI somehow finding space to have them all sat parallel to the board and not mounted vertically as we're seeing on some other Z270 boards. 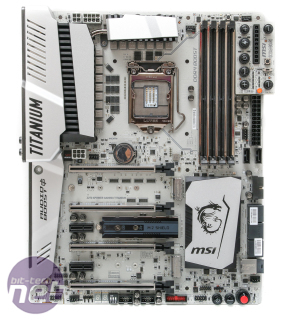 The extra slot comes equipped with MSI's M.2 Shield, which we found can offer a 10°C drop in temperatures on the likes of Samsung's 960 Evo under load. 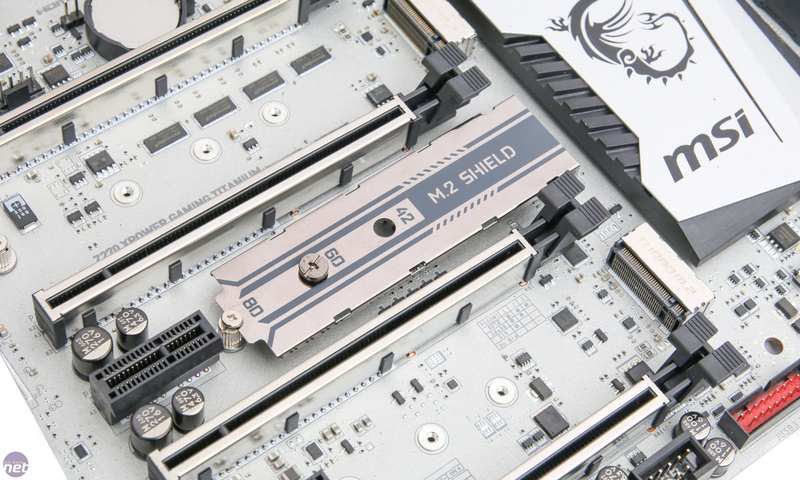 If you do want to use more than one M.2 SSD, you'll need to check the manual, though, as depending on your setup, SATA ports may end up being disabled to provide enough bandwidth. 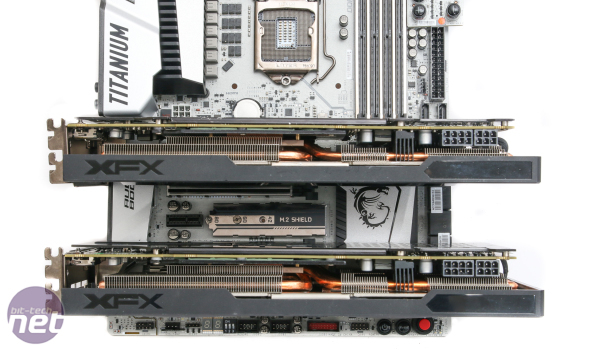 Both PCI-E x4 NVMe and SATA-based M.2 SSDs are compatible. 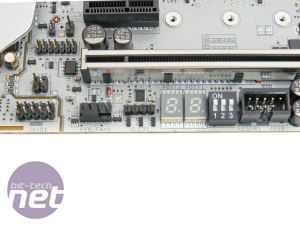 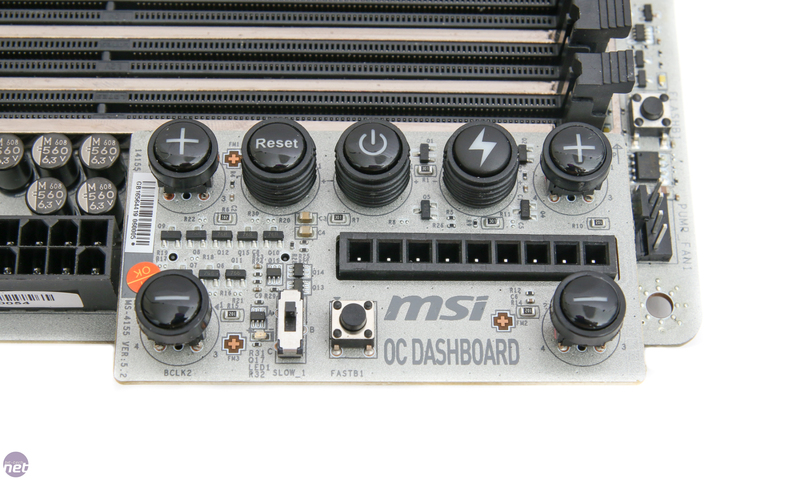 There's a mountain of overclocking and testing features, including power reset and CMOS clear switches, an LED POST code display, dual BIOS switch, and PCI-E slot disabling switches, in addition to MSI's OC Dashboard - a small PCB that slots into the board next to the DIMM slots, which gives additional control over the multiplier and base clock as well as offering slow mode and fast boot for extreme overclockers. 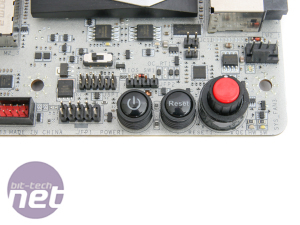 A voltage check module slots into this too, being soldered to the board PCB. 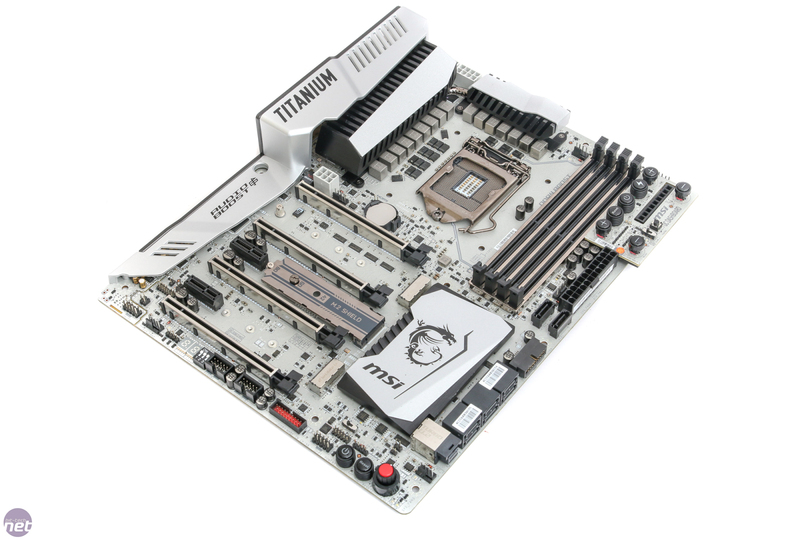 At £326, we're a tad disappointed not to see Wi-Fi or Thunderbolt 3 support, although only the latter is included on Gigabyte's Aorus Z270X-Gaming 7, and you'd need to splash out a good £300+ on an Asus ROG board such as the Maximus IX Code or Formula before you get Wi-Fi. 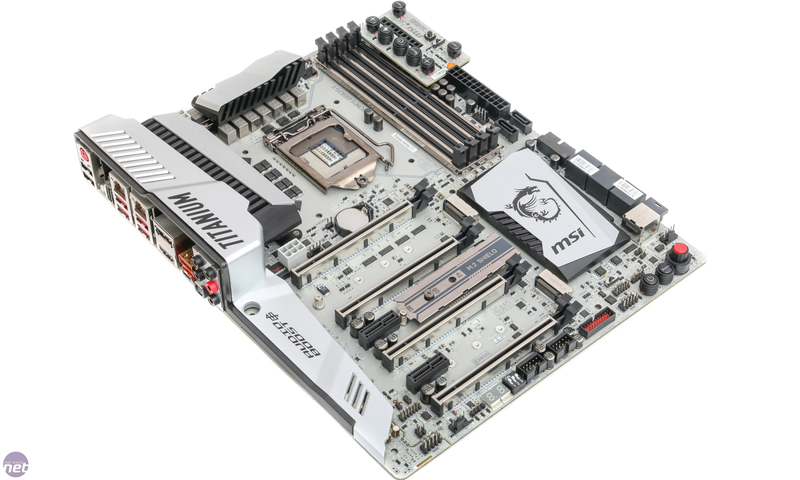 MSI has sensibly ditched SATA Express, and if you have an Intel U.2 SSD waiting to be transplanted from your old system, there's a single port here too - realistically, it's all about M.2 though. 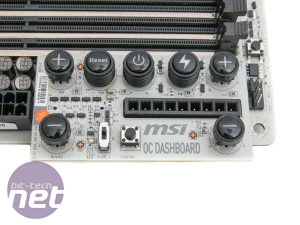 Visually, the board is stunning, with MSI's signature titanium finish, which is always tricky to show in photos, but sports a light grey metallic finish that looks great whether the board is powered on or not. 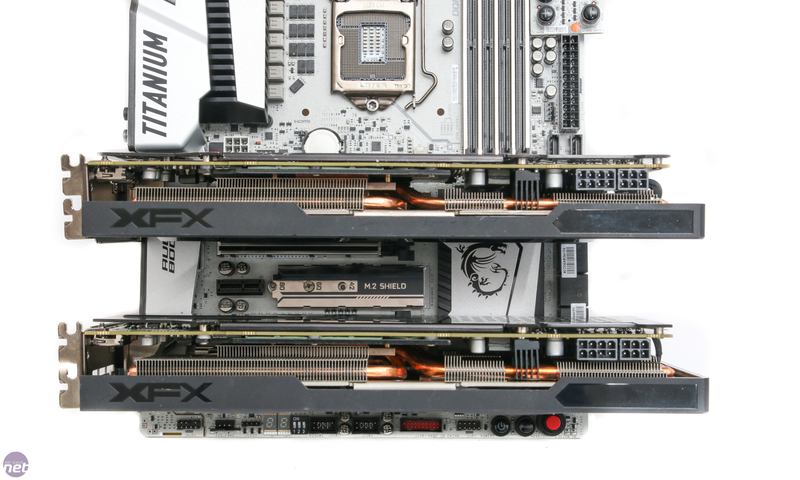 The layout is pretty decent too - the primary and secondary 16x PCI-E slots you'd use for two-way GPU setups sport a huge gap between them, so even a triple-slot top card would have room to breathe. 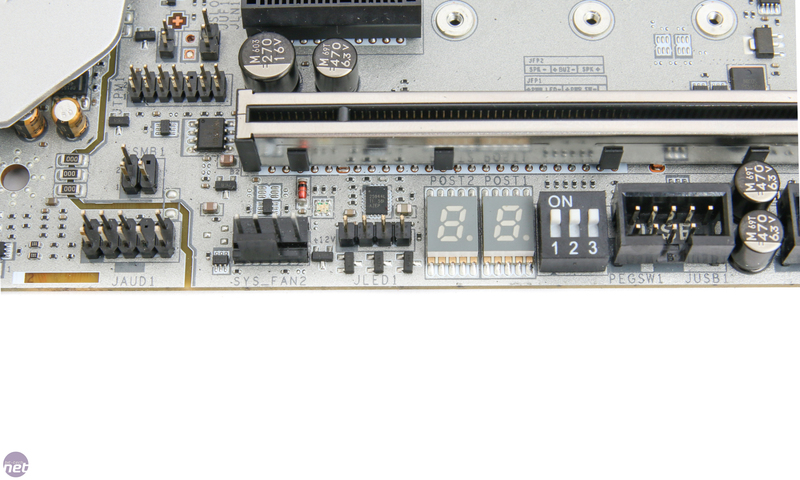 The M.2 Shield-equipped M.2 port is handily located between these slots, so it's still accessible - potentially handy if you're water-cooling the cards.